What kind of automotive projects are being funded by the Department of Energy’s Advanced Research Project Agency for Energy (Arpa-E)? If you scroll through a list of the projects, you’ll see that most of them have to do with the development of new automotive fuels and batteries. One of the projects, however, will be a bit different. 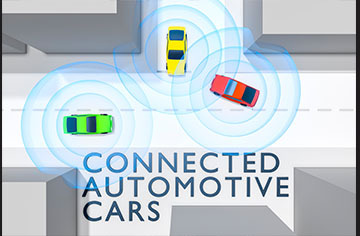 Its called NEXTCAR, and will focus on developing energy and fuel technologies for connected and automated vehicles. Arpa-E is now offering up to $30 million in funding to researchers who would like to participate. The purpose will be to develop technologies that will lead to at least a 20% reduction in the energy consumption of connected and automated vehicles when compared to levels of energy consumption in current vehicles. To quote from ARPA-E’s description of the program . . . Although fuel savings have not been precisely determined, it has long been “common wisdom” that switching on the cruise control in cars saves gas. The reason? Even the steadiest driver slightly depresses and releases the gas pedal constantly, even in steady-speed driving conditions. In contrast, cruise control is steadier, leading to improved gas mileage. In theory, self-driving technologies could reduce energy consumption even more, by turning over the control of energy consumption to computers. How much energy reduction will result? We don’t know. But with NEXTCAR aiming to reduce energy consumption by 20%, the results could be extraordinary. If you’d like to learn more about the future of driverless cars, you might be interested in attending our upcoming Driverless Cities Summit, to be held from October 26-28 in San Mateo, California. The Summit will highlight the latest activities of regulators, modern designs for smart city planning, cutting-edge tech and applications for connectivity, and paradigms for allocating funding.